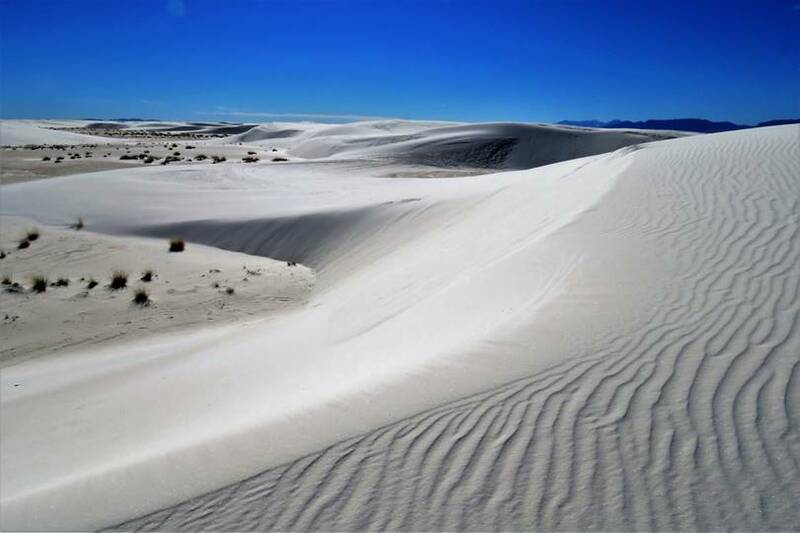 Unique throughout the planet are the white sand dunes in the Desierto de Chihuahua, which is considered the largest of North America as it covers over 518,000 square kilometers and extends deep into Mexico's central plateau. 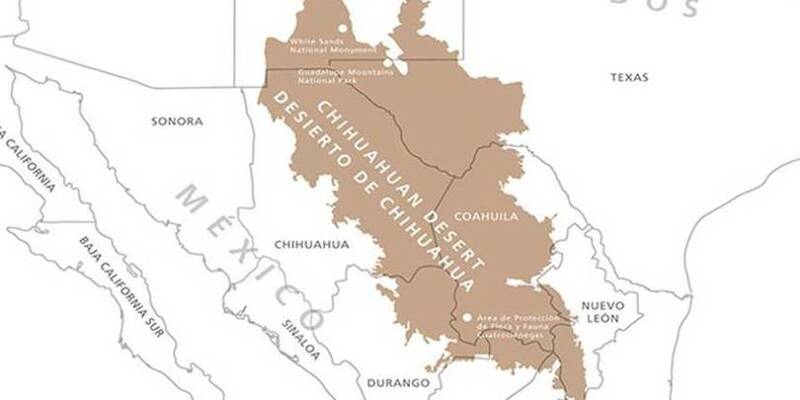 Numerous endemic plant species prove that the desert may be the most biologically varied desert, but also the largest created by plaster, in the world. The area with plastered, whitewashed, sand dunes covers about 712 square kilometers, with some of them reaching a height of 18 meters. 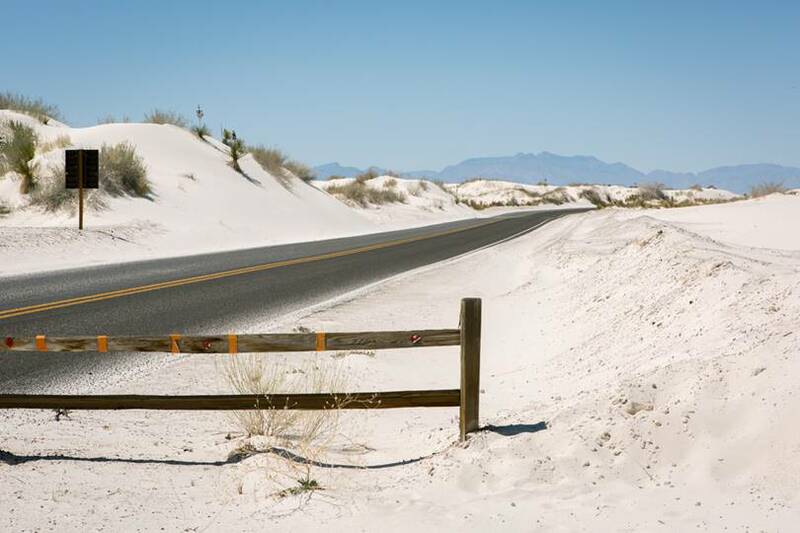 About 40% of dunes are protected as they are located within the National Monument that has been established since the early 20th century, while the remaining 60% is within United States military space and access to the public is limited. Although gypsum is one of the most common minerals found on Earth, it is rarely found on its surface. This is because it easily dissolves in water. The origin of this desert of white sand began about 100 million years ago when the area was covered by a shallow sea. When the waters receded and evaporated, thick layers of salt and gypsum made their appearance as they covered the ancient scenery of the seabed. 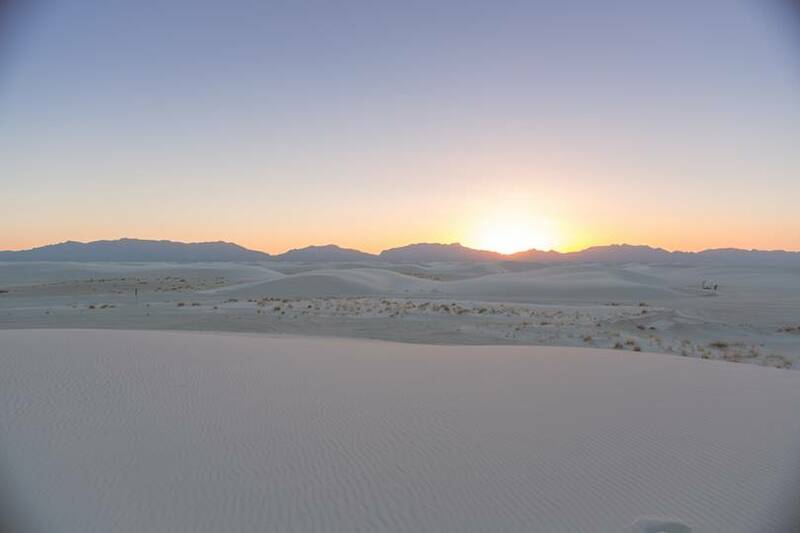 With the high temperature of the desert, fine plaster sand was transferred from the strong western winds and the massive white dunes were created. 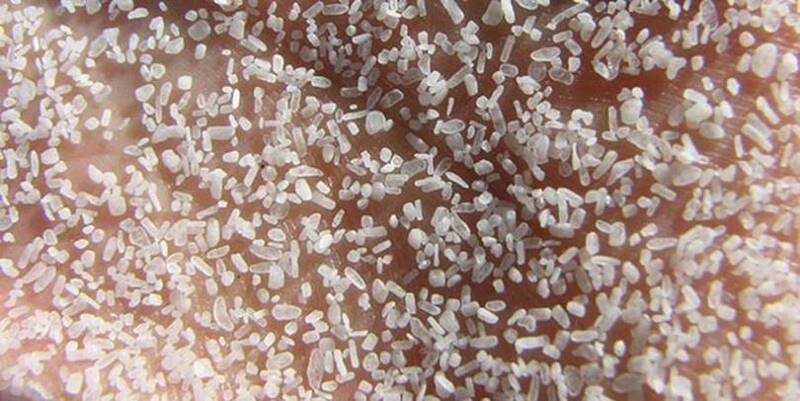 Geologists define as sand any substance consisting of a mineral with a diameter of between 0.065 and 2 mm. Most of the sand on the Earth consists of quartz. 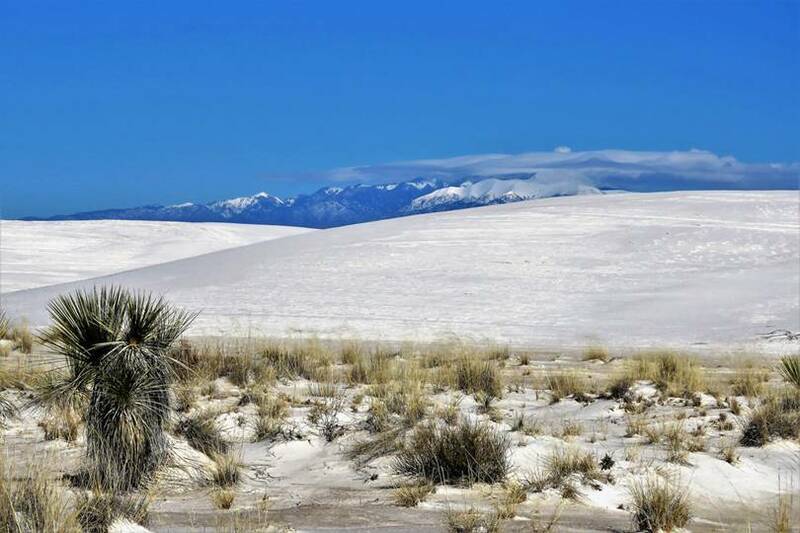 However, New Mexico's white sand dunes consist of 98% pure gypsum sand. 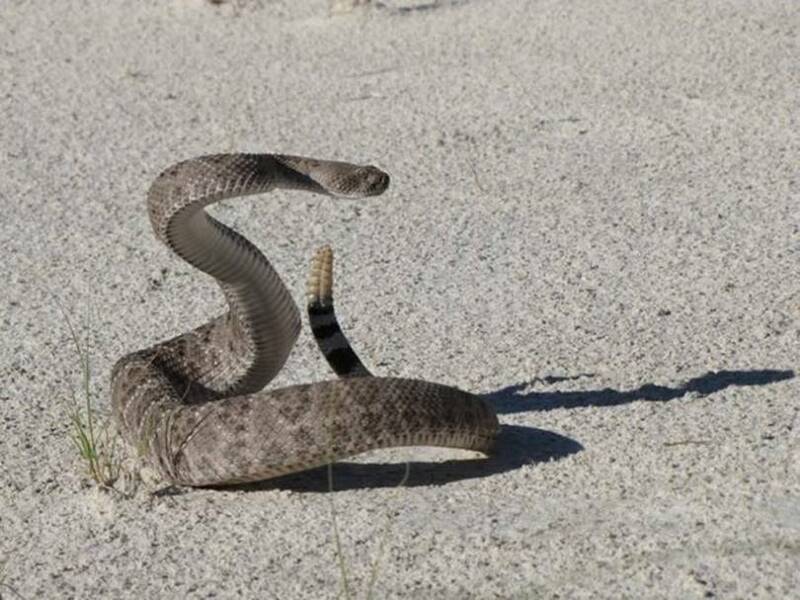 The areas between the dunes in the white desert are an exciting environment for the wildlife and flora that grows there, as more than 300 species of plants can be found. Plants that survive on this alkaline soil, with poor nutrients, must be able to adapt and endure high levels of salt in the soil, drought, and freezing temperatures of -38 degrees Celsius. In addition, over 250 species of birds survive, many species of insects, 50 species of mammals, seven species of amphibians, one species of fish, and 30 reptile species. Some animals found in the dune field have adapted and evolved into their harsh white environment, such as a kind of mouse with almost white fur, not to be traced by its predators. Also, there have been traces of mammoth and other huge animals, as well as prehistoric people. 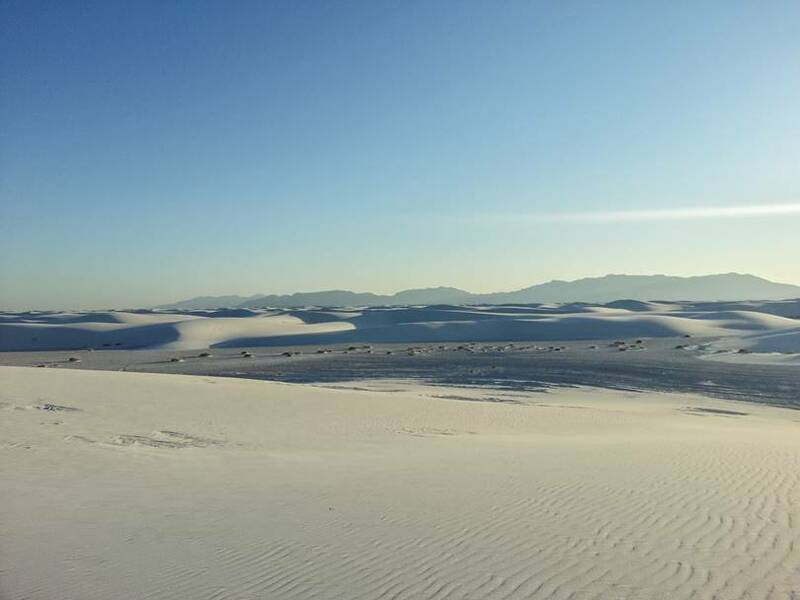 The uniqueness and beauty of the white sand dunes have long been recognized and designated a national monument in 1933. 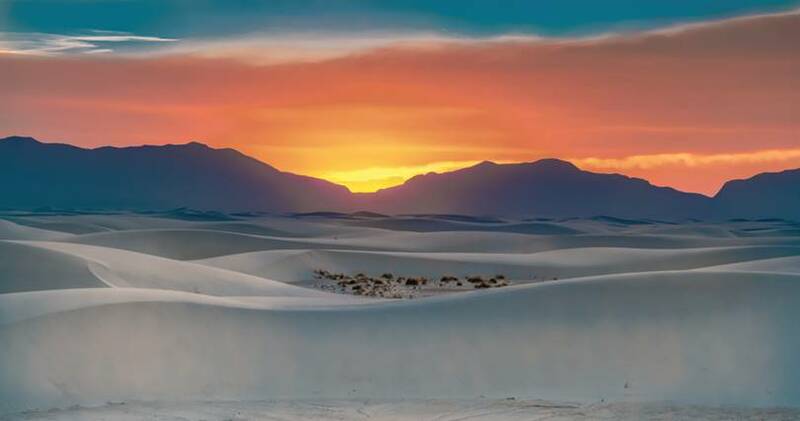 Today, over 500,000 visitors each year go to the white desert to explore and experience this unique natural wonder.